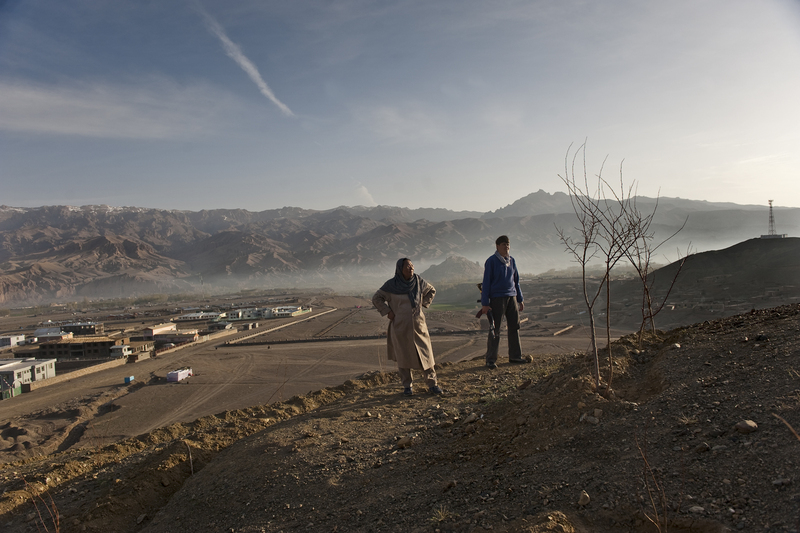 Habiba Sarabi of Bamian Province, the only female governor in Afghanistan, takes her morning walk in the hills, security officer in tow. Bamian Province, famous for the giant Buddha statues destroyed by the Taliban, is one of the most open-minded provinces for women, who are able to drive and work outside the home. Still, Sarabi's appointment to the governorship by President Hamid Karzai in 2005 was considered a bold move.